I never met my Uncle Edgar. He died in a small airplane crash on February 12, 1949, about nine years before I was born. He was and is a mystery to me. 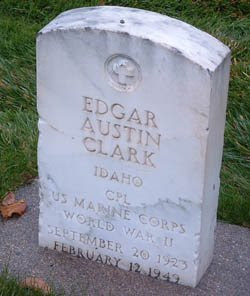 Edgar Austin Clark was born in Boise, Idaho on September 20, 1922, the firstborn son of Edna and Raymond Clark. He took his middle name from his grandfather, Austin Clark. That, as far as I know, was his sole inheritence. Edgar was the second in a family of thirteen children. 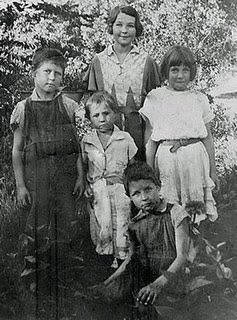 He is the frowning boy on the left in the photo above standing next to his younger brother Herb, his oldest sister Alma, my mother Jennie Ruth and my Uncle Charlie (Dewey). It was not a wealthy family. They knew nothing of the collapsing stock market that unleashed the Great Depression on the country. But they felt the impacts very dearly. 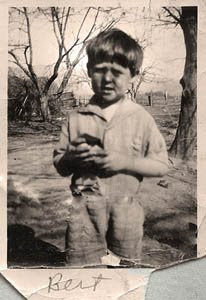 It was December 1941, not long after the birth of the last of his thirteen children, Tom Clark, that my grandfather Raymond died of a heart attack in the one bedroom room house the family shared in the rural outskirts of Southern Boise. 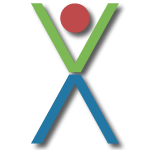 His surviving eldest sons had very few options at that time when it came to work. The military seemed to be the only one hiring. 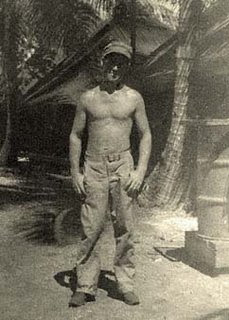 I do not know whether my Uncle Edgar joined the Marines or if he was drafted, but he ended up in Guam fighting as a Corporal during World War II. He returned from the war with no physical injuries. But in the little I heard my mother talk about him, the war had taken its toll on his spirit. She talks of him working on "dead wagons" recovering the bodies of dead American soldiers killed in assaults on the Japanese strongholds in the South Pacific. She said he didn't like to talk about his experience in the war. But it had changed him. On February 12, 1949, my Uncle Edgar went along with a friend of his in a small airplane for a joyride. The details are sketchy, but apparently his friend "borrowed" the plane from its owner without permission. My uncle survived the Great Depression and World War II. He didn't survive the crash of the stolen airplane he was a passenger in. He was 27 years old. Last Thanksgiving, Tess and I were in Boise visiting my family. We had gone to Morris Hill Cemetary late one day in search of the graves of my great grandparents and grandparents buried there. While looking for my grandfather Raymond Clark in the military portion of the cemetary (he was a private during World War I) I stumbled upon my Uncle Edgar's gravestone. I realize this isn't much of a memorial. A man's life deserves more than eight paragraphs and few faded photos. But it is all I have. And it is why I'm determined to unearth what I can find about my family. With that note, I'm leaving tomorrow for Boise to visit my mother and salvage what I can from her memory. Maybe then I can give my Uncle Edgar a bit more. This touches my heart, Tim. May your quest bring you peace. That was nice. Hope you find something interesting in Boise. I'm on vacation myself, See you in a week or so. That, my friend, is how we gain our immortality. It is the greatest gift one can give another.....a name, a life worth remembering. Thanks Hayden, It would be nice to fill in the blanks and give my lost uncle a more fitting memorial. Lights, I'll be blogging from Boise. Maybe you can find a computer on your vacation and check in. Have a fun one. THE Michael, Thanks. Well put. So you're on the road too. I hope your mother's memory is as good as my mom's has been. We got her to write an autobiography a couple of years ago, under protest. She managed about 12 pages of her Idaho thru WWII memories (she grew up in Payette). I'm so glad we got her to do that. I hope you brought a tape recorder if she isn't one for writing. And you were making fun of Idaho? People in glass houses should throw potatoes. I think I will pick up a tape recorder in Idaho and see if I still have my interviewing skills. How was Oregon? I've always admired the way you honor your family's history. And... I'm thinking I should pay better attention to my mother's stories. Have a safe trip Tim!!! I hope you are able to get a lot of information. I think it is a wonderful tribute to him and I am very sure he was pleased that you took the time to remember him even though you had never met he still holds a place with you. Thanks Shandi, Honoring my family's history can be a disturbing challenge at times. People don't always want to remember or simply forget. We'll see. Cherish, I've already found a bit more information about my uncle. I'll blog about it eventually. Thanks for the well wishes.